Gaming tech company Razer capped a busy week yesterday with the unveiling of its first smartphone - a move that analysts say marks the Singaporean-led firm's attempt to go beyond being known as a maker of peripherals like the keyboard and mouse. During an event at the National Science Museum in London, Razer chief executive Tan Min-Liang announced the simply named Razer Phone, which he billed as one built with gamers in mind. The phone boasts high-end specs on a par with those found in flagship devices like the iPhone X and Samsung Galaxy Note 8. These include a Snapdragon 835 processor, 8GB of RAM, a 4,000mAh battery and stereo front-facing speakers with Dolby Atmos support. Its 5.7-inch display is a LCD panel designed by Japanese firm Sharp and has a 120hz screen refresh rate, up from the industry standard of 60hz. Mr Tan said at the launch event in London that the company has been working on the mobile segment for a while. "What did we do with the Razer Phone? We spent an insane amount of money," said the Singaporean. "We worked with some of the top people in the world, so we got a proprietary screen designed specifically for us, for gamers." Observers say the phone sends a message to financial markets and investors that Razer is keen to expand its brand ahead of its planned initial public offering (IPO). The US-based firm, with headquarters in San Francisco and Singapore, launched its phone just a day after it announced its IPO price range in Hong Kong. Razer is seeking to raise up to US$545 million (S$741 million), which would value the firm at up to US$4.55 billion, putting founder Mr Tan on track to become a billionaire with a net worth of US$1.2 billion. The phone boasts high-end specs on a par with those found in flagship devices like the iPhone X and Samsung Galaxy Note 8. These include a Snapdragon 835 processor, 8GB of RAM, a 4,000mAh battery and stereo front-facing speakers with Dolby Atmos support. "Due to its upcoming IPO, the company is seeking opportunities for marketing adjacencies," said Gartner analyst Werner Goertz, a research director for personal technologies. "And given its core competencies in electronics design and the pervasive availability of reference designs, the mobile phone space is a low-hanging fruit." Ms Tay Xiaohan, senior research manager for client devices at IDC Asia-Pacific, said: "Razer sees the smartphone market as a way to expand its share in the market, and another product to add to its gaming peripheral line." The Razer Phone will retail for US$699.99 (S$952), with the first wave of countries, including the United States and select Europe markets, getting it on Nov 17. Local pricing and availability are unavailable, but more details are expected following the phone's initial launch. The phone also suggests Razer's aim to move into the growing mobile gaming scene, especially with the rise of competitive mobile e-sports. Ms Tay said: "Razer will probably try to use this phone as a launch platform for mobile e-sports." The device drew mixed reactions from tech publications. While many applauded the specs, others questioned if there is a big enough market for a gaming phone. 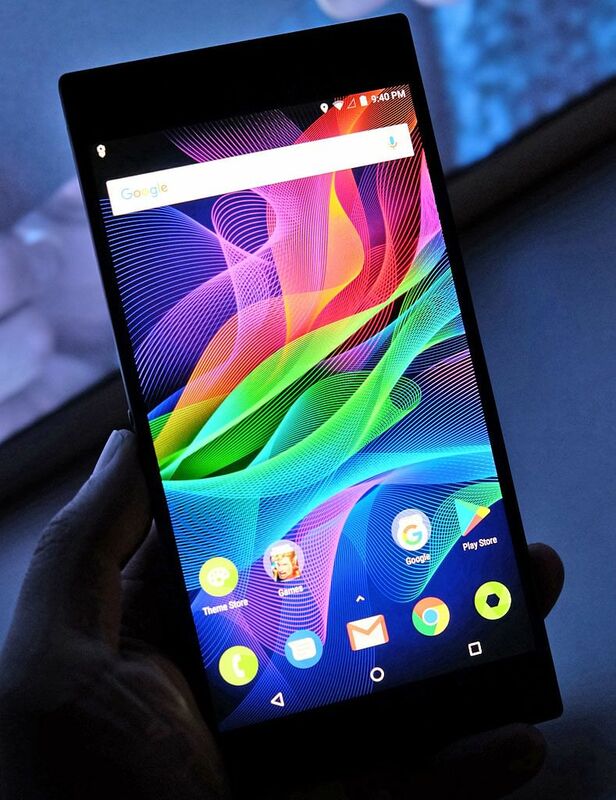 Analysts said Razer faces a challenging task breaking into the competitive smartphone market. "With no brand (recognition)... it will be an uphill battle," said Mr Goertz. IDC's Ms Tay said Razer is targeting a very saturated high-end market with the US$700 phone. "Other than Apple and Samsung that dominate the segment, most of the other top vendors are also struggling to increase their share in that segment of the market. The average consumer or non-gamer would not be willing to spend that amount of money on a Razer phone,"she said.